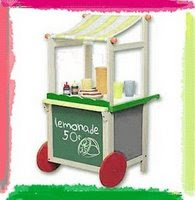 Piggy's Little Shop: Lemonade Award - I Won! I was so excited today cos I had just been handed the Lemonade Award! I have not won an award before... Hmm.. what would be Thank You speech be... I would like to thank Glitzer for picking me out of all the blogs... and God constantly picking me up when I fall and for blessing me, my family and my Etsy shop abundantly. Lemonade Award is given to blogs that demonstrate great attitude and / or gratitude. A Desert Fete - Love the photos that she takes. Really natural..
Castle Tang - My friend and ex client. Wonderful photos and stories about his kids. Kala Pohl Studio - A wonderful lady that writes very interesting blog about her art & heritage. Dirty Pretty Things - I love all her posts. Great picks, very interesting to read..
MER - I love her jewelry and creative ways of taking photos! Great stuff! Style & Design - Her posts are always enjoying and fun to read. I love looking at what she picked! By_Rheea - Her blogs has great sights and photos of Singapore! CONGRATS on your well-deserved award.